Dancing is one of the funniest and easiest tricks to teach your bird. This behavior comes naturally to many of our feathered friends, with highly intelligent birds such as cockatiels and parrots among the easiest to train. Not only will teaching your bird to dance be entertaining, but it will also offer your pet some extra exercise and mental stimulation, both of which can improve its overall health. 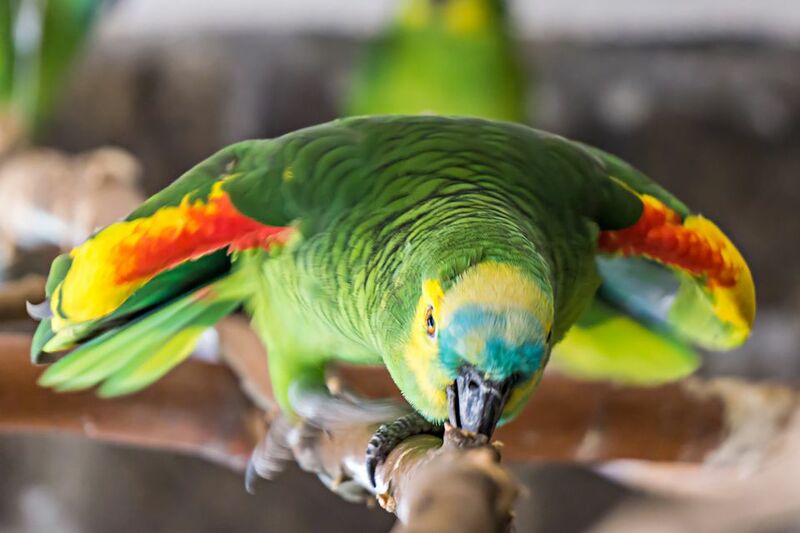 Before you begin to teach your bird any sort of trick, it's important to take the time to choose the best area of your home to use as a training space. Birds can respond differently to training depending on their level of comfort with their surroundings, so it pays to select an area that your bird will view as non-threatening and safe. Quiet, non-cluttered rooms generally make the best choices, preferably away from the majority of household foot traffic. Eliminating as many distractions as possible will help keep your bird on track during your training sessions. By nature, birds are geared to respond to sound, so it's no wonder that so many seem to enjoy hearing various types of music. When teaching your bird how to dance, try to choose a fun, upbeat tune to train your bird with. Rhythmic songs with medium to fast tempos tend to encourage most parrots to get moving quickly. Don't be discouraged if your bird doesn't seem to appreciate your musical choices, just keep trying different types of music until you find something that your bird seems to respond to. It sounds like a silly idea, but sometimes birds learn best when they are given an example. If your bird doesn't seem to be getting the hang of dancing on his or her own, it may be necessary for you to step in and give your pet a demonstration. Turn the music up and dance around to show your bird how fun it can be. Many times this will excite parrots to the point that they will start dancing along with you before they even realize what they're doing. If your bird still doesn't dance despite your best demonstrations and other efforts, then you may consider showing your pet some videos of other birds "cutting a rug." Make a playlist of your favorite dancing bird videos to share with your pet. Birds generally love watching other birds, and usually, they will emulate what they see. This can be one of the quickest ways of encouraging your bird to dance or perform an array of other tricks and behaviors. As with all training exercises, it's important to reward your pet for any progress it makes toward learning the behavior that you're trying to teach. 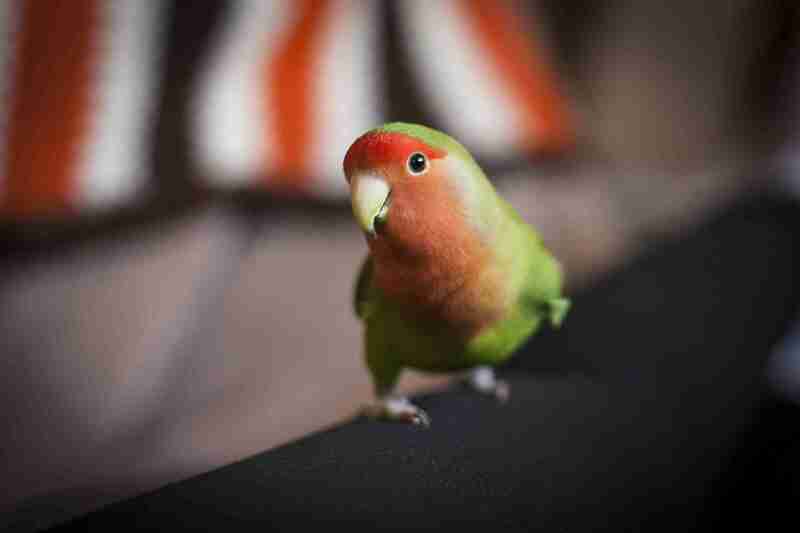 Even if your bird isn't a full-blown dancing machine after the first few training sessions, rewarding progress in increments is key to helping your pet understand the behavior that you want them to learn. Keep some tasty bird treats on hand while training to make sure that your bird stays engaged and interested in what you are doing. Using treats to keep training sessions fun will help your bird learn more quickly and easily over time. Since dancing is a behavior that comes naturally to most pet birds, it's a little different than teaching a behavior like singing or talking. If you're having difficulty getting your bird to dance on cue, keep trying different kinds of music. Try leaving the music on when you're not around (at a reasonable volume, of course) so the bird doesn't feel any performance anxiety. Most birds will figure out how to get their groove on with some patient encouragement from you.